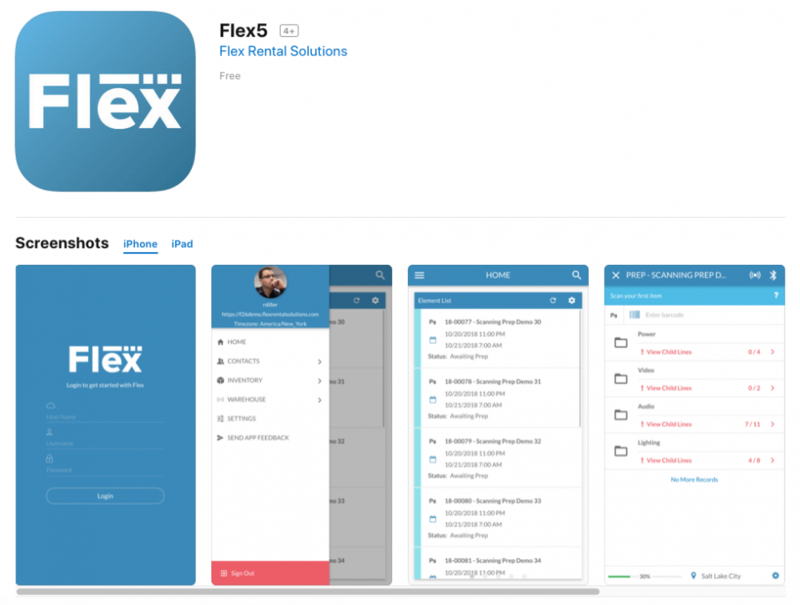 Flex Rental Solutions announced the release of its newly-designed phone app, Flex5 Phone, to all customers. Flex Rental Solutions, an internationally recognized provider of enterprise web-based inventory and rental management software for the AV, Event, and Production Management industry, announced that Flex5 Phone — its newly designed phone app — has been released to all customers. Flex5 is the company’s new HTML5 user interface and features a complete rewrite of Flex’s user interface and backend architecture. Flex5 will eventually replace Flex’s current Flash UI by adding a new desktop environment. Flex5 Phone is already available for download in the Apple App Store for iPhones and in the Google Play store for Android devices. Flex5 Phone replaces Flex Mobile, which is no longer available in the App store. In August of this year, Flex Rental Solutions announced that it had released Flex5 Tablet. Flex5 Phone features will mirror Flex5 Tablet. Users can search, call, text, or get direction to a contact right from their phone or tablet. Flex5 has finally freed the warehouse staff from being tethered to large laptops and desktop stations. Users can search and view all inventory and contacts, as well as prep pull sheets, return manifests, create and edit inventory, log maintenance, and more. Flex Rental Solutions plans future updates for Flex5 Tablet & Phone, however the primary focus now is Flex5 Desktop, with financial document development currently underway.